For automated gripping of disordered workpieces from a machine tool and orderly further transfer. 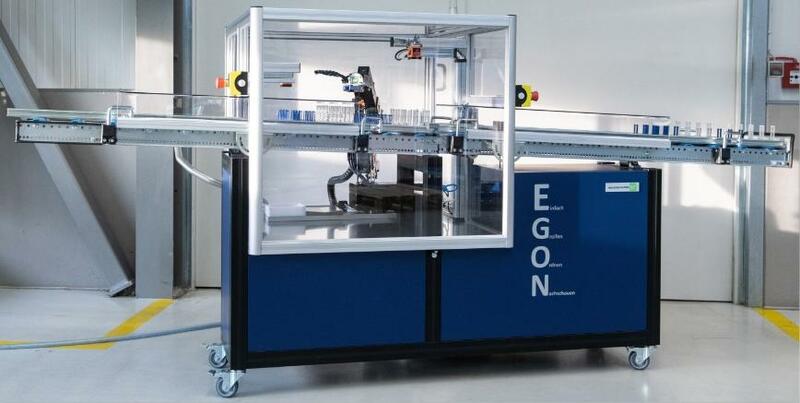 EGON is a self-sufficient, adaptable automation solution for a wide variety of applications. The adaptation to your production machines is easy to realize due to the optical component recognition. Any 2-dimensonally disordered workpieces are easily identified by our automation solution with integrated robot and optically controlled position tracking. The component parts are gripped and orderly provided in defined position to the subsequent process.